Why Alternating Innovation for A Cause? Extensive research and development on home cookware appliances made the developers create some instrumental innovation with their products. This was aimed at gifting the word with not only stylised cooking pots but with the ones safeguarding the existence of man on earth for a long time. These gave enough reasons to make a healthy process of cooking with the induction-based pressure cooker. A certain report has come a long way to get scrutinised by the EPA. As per their reports, many of the earlier non-stick cookware are found to have used the PFOA chemical. These are used to make Teflon igniting more problems for the users in terms of their healthy ailments. The presence of PFOA could be found in human health, as human blood samples confirmed this to be true. Creating more on the neck is they are responsible for causing cancer, a life-threatening disease. Despite the environmentalists and the manufacturers in the west have admitted the ill-effects of non-stick pressure cookers, there seems to be a little ray of hope. It came when the US Food and Drug Administration along with their fellow European Food Safety Authority continued to approve of its safety in making the food items. To vanquish of the heating arguments as has suggested tarnishing the image of the manufacturers of such non-stick cookware in and around the global by the media. Leaving no ball unturned, the manufacturers prior to their research and development process went to transform the making of the non-stick products freeing them from the enclosure of such toxins. 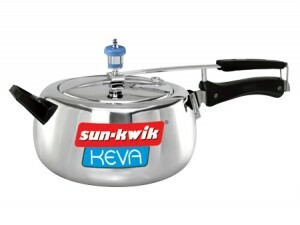 They made this possible by availing on the market premises with PTFE-free non-stick cookware. They have been mentioning its presence while specifying on the product. In a way, one can surely make a buy of such products. At the same can rely on the marketing agenda of the people in this manner. True to the ears is the purchase of induction-based pressure cooker online has been safe. If only you have some doubt then see the hegemonic power protecting the health issues not too submissive unlike in their country. People are using the cookware safely.